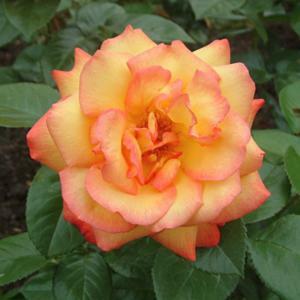 Cluster flowered shrub rose producing large, shapely, strongly perfumed flowers of deep orangey yellow, edged with red. Repeat flowers from summer to autumn. Glossy dark green foliage. Disease resistant. 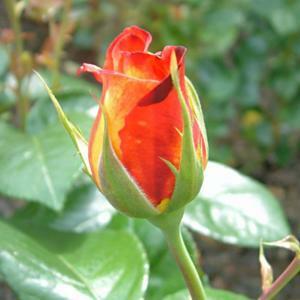 Raised by Harkeness Roses, UK, 1982 and introduced in 1985.